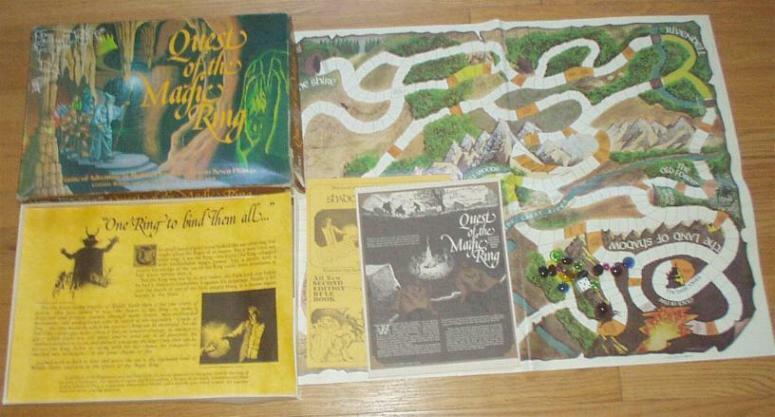 We have found the 1st edition copy of this game, look below for a picture of the rulebook. Due to legal reasons, some of the names had to be changed to protect the company. Aragorn is The Ranger, The Cracks of Doom is The Crack of Fire, and Saruman is the White Wizard with Sauron as Dark Lord. The men of Gondor are the Citadel Men. Gandolf though is Gandolf and there are Dark Lord Orcs and there is a Ringbearer. This game was well thought out and is faithful to the spirit of the books. 1st edition -booklet is 8 pages. 2nd edition -booklet is 12 pages, could have a variety of things included such as flyers, large yellow "One Ring to Rule them All"
poster, etc. Some of the games don't have any extras while some have them. If you have a yellow poster, sales sheet, or anything not listed here above, consider those extras. 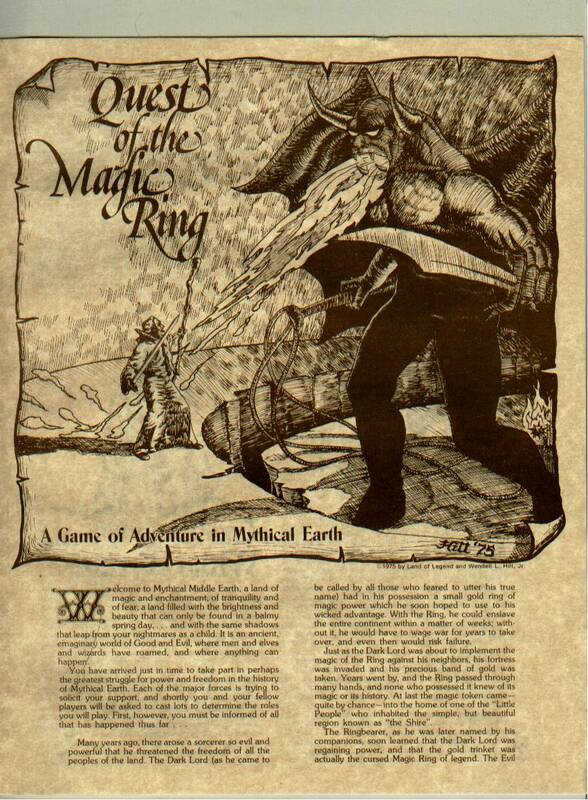 Below is a rulebook from a 1st edition. It looks far different than the rulebook in the 1976 rulebook and is also only 8 pages in length compared to 12 on the 1976 edition. Yellow advertising sheet (15.5" x 11") "One Ring To Rule Them All"